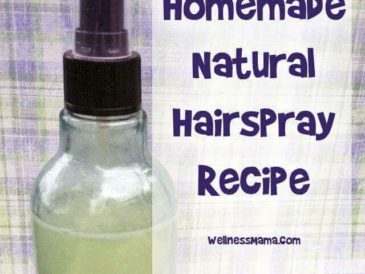 Since I posted my recipes for homemade shampoo and DIY dry shampoo I’ve gotten several comments and emails asking about natural hair color recipes. I’ve experimented with natural hair lightening in the past, but hadn’t tried dark or red shades. Many wasted herbs and a bunch of randomly colored streaks on the underside of my hair later, I figured out some good dark and red options as well! I started with sandy blonde hair, so I used the lightening herbs on most of my head, and I’m the blondest I’ve been since childhood (with some interesting red/brown streaks underneath). I think the reds and browns would be even more dramatic on hair that was already darker, but they definitely had my hair not-blonde anymore. If any of you with dark hair try the red or dark colors, please let me know how they work on you! These are natural colors and as such will create natural hues on your hair. They will not create artificial colors like hot pink, completely platinum blonde, or jet black (ok, so that isn’t a fake color, I just haven’t figured out how to do it…) The blonde/light recipes will actually permanently lighten hair since they naturally bleach it but the red and dark hues will leave a temporary tint for a few weeks (depending on how often you wash it). The sun will help set all the hues. Pure, strong Chamomile Tea (brewed with 1/2 cup herbs per 2 cups water) and sprayed or poured on hair and left on for several hours. Sitting in the sun during this time will enhance the lightening effect. 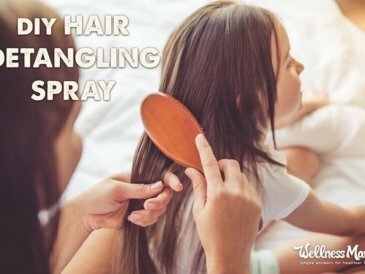 Fresh squeezed lemon juice, sprayed and brushed through hair and left on for several hours (in the sun) will also produce natural highlights. A chamomile tea rinse at the end of each shower (leave in hair!) 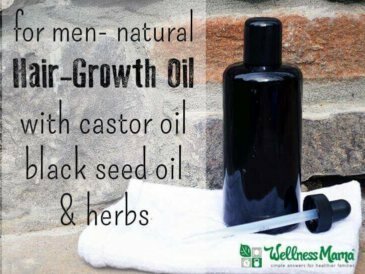 will produce smooth, silky hair and naturally lighter hair over time. For a stronger and faster effect, I’ve used the following recipe. It has left my hair very blonde, easy to work with and not yellowy/brassy at all. You can also use this as a rinse at the end of a shower (and then lightly rinse with water) though it will take longer to have an effect. This will not have an overnight dramatic effect, though when I’ve put it in my hair before gardening in the sun for a few hours I definitely noticed a difference. These will create a red/dark strawberry blonde tint in lighter hair and an auburn tint in darker hair. The effects are cumulative, so extended use over time will create a more vibrant red. 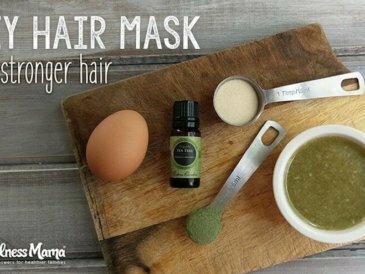 The easiest thing is to make it part of your hair care routine if you want continual red hair. Boil the water and simmer with the calendula/marigold and hibiscus for at least half an hour. Strain off the flowers and store in the fridge. Use as a final hair rinse at the end of each shower. Dry hair in the sun if possible. Repeat daily until desired shade is maintained and then every few days to maintain. If you want faster and more permanent results, you can use Henna Hair Color. I’ve purchased from Morrocco Method with great success. They are excellent products, and the results are very dramatic. They have a lot of color variations with red hues (and darker ones) and the results last for several months (or longer if you wash your hair less often). They won’t completely cover grey hair, but will darken it. 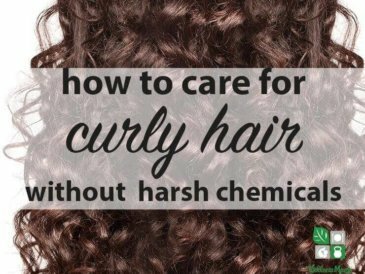 Don’t use on chemically treated hair or test on a small section before using on the whole head! For very dark hair, put 1/4 cup of Black Walnut Powder in a tea bag or cheesecloth bag and steep in 3 cups of water in a quart mason jar for at least 6 hours or overnight. Use as a rinse in the shower for hair and dry in the sun if possible. 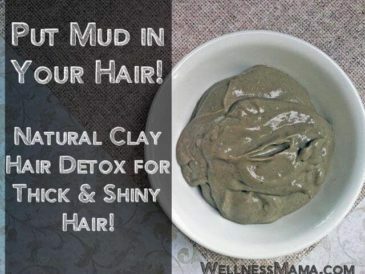 This will create VERY DARK hair, especially if you have dry or color treated hair. It will also provide the darkest coverage for grey hair. Repeat daily or as needed to darken and maintain dark shade. Use strong brewed black tea as a final rinse to darken any color hair. This is also nourishing for the hair and will provide a temporary darkening effect on most hair types. Repeat as necessary to get desired shade and sun-dry if possible. 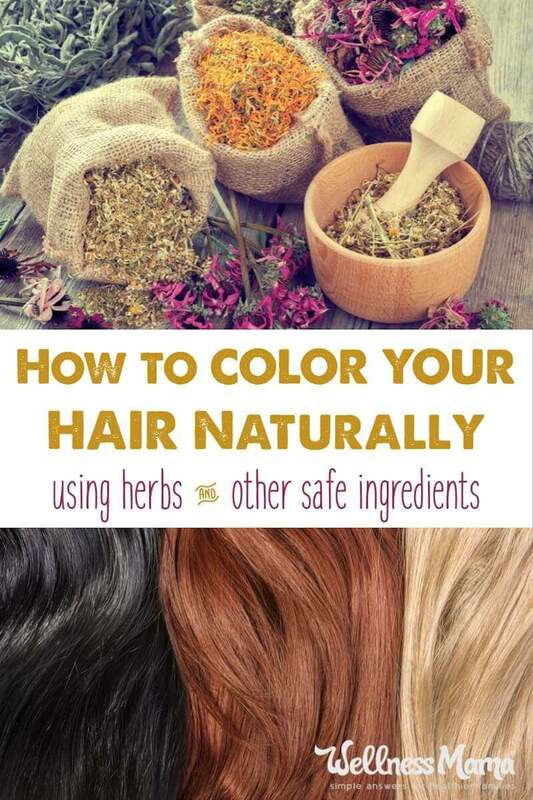 With any of these herbal hair colors, make sure to test on a small part of your hair first, especially with color treated hair and especially with the henna colors as they have more lasting effects. Experiment with any of the above and mixtures of them to get the right mix for your hair! Ever used natural hair colors or rinses? Please let me know below!